Posted May 5, 2017 by Pierre Roustan & filed under organic, organic produce, organic produce delivery. If anyone ever had doubts about the state of the organic food trend, all you need to do is read this article right here. THIS is the reason why Golden Gate Organics has been around for awhile — because organic produce, the organic food community, has grown in such a way to expand into the mainstream more than it ever has in the past. 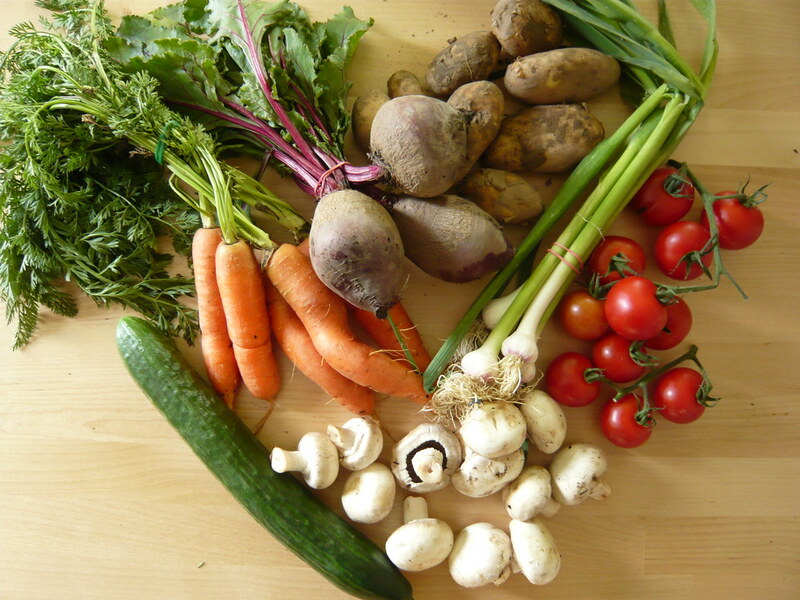 You can sign up for deliveries of your organic food right here, in fact! Now that we got that out of the way, of course, we’re willing to bet you’re wondering just how organic food is trending. We say it; why should you believe it? Grocery Store Chains — Your staples. The big names. Want to know what they have to do with organic food trends? McDonald’s — Yes, you heard correctly, the burger giant of the American Way, except it’s not what you think. Your Smartphone — How could your phone have anything to do with organic food, or groceries for that matter? Here’s how. These organic food trends alone are enough for you to really see the writing on the wall. People want to get healthy, or stay healthy. For the longest time, we’ve shoved crap into our mouths, and now we’re paying for it. Nothing’s better than organic. Plain and simple. You, again, have the opportunity to get premium service through GGO right here. Sign up! It’s FREE! Posted May 3, 2017 by Pierre Roustan & filed under organic, organic produce. 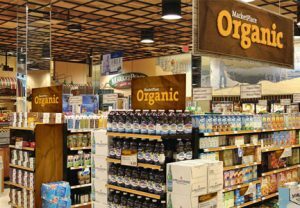 It used to be commonplace to show up at your local grocery store and expect just one aisle devoted to organic food products. That’s it. Nothing else. It was a fact that organic groceries were not quite en vogue for obvious reasons: cost, accessibility, variety, supply. They were only just trying to break out the “if it ain’t broke, don’t fix it” mentality of why we should do anything different with our groceries and go with this thing called ORGANIC. What was the big deal? 2014 was THE year that 50% of organic food was sold at conventional grocery stores. That’s right: 50%. People are buying organics these days Plain and simple. You name it, increases in total volume sitting in your quintessential organic groceries cart at the chain store are the norm, which means all those stores will be getting competitive. Offering more selections, dropping some prices, incentives, you name it. So If You Were Wondering If Organic Food Was Ever Going to Get Popular…. There’s your answer. We suggest you cash in on that, make it easy, and sign up with Golden Gate Organics, though! Saves you a trip to the grocery store chain, plus time waiting in a long line. Posted April 29, 2017 by Pierre Roustan & filed under organic, organic produce. It does turn out that organic food growth in the market is hitting the food service industry so hard that not only are new chains starting up with the primary focus being organic food, but even a Mickey D’s direct competitor will be leading the charge as well. Ever heard of Wendy’s? How about Honest Tea? The two have joined together in an effort to serve Honest tea organic beverages in all establishments nationwide. You can walk into a Wendy’s an order one right now. To spell it out for you, Honest Yea sources about 800K lbs of organic raw materials, which makes it quite the heavy organic food establishment. The partnership Honest Tea has with Wendy’s will require a good 1MM lbs of that raw material. We Can Only Imagine Just How Much the Organic Food Trend Will Go. It May Just Be the Beginning. We’re thinking McDonald’s will need to try their hand in it somehow. 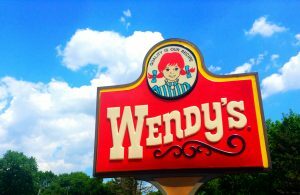 Or else Wendy’s might be able to also compete with the many other establishments out there serving organic food and still remain in the game with the big names, like Burger King and the like. What do you think? Can Mickey D’s do it? Or are they going to be sunk? You be the judge! 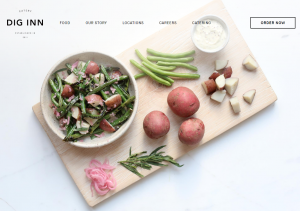 Posted by Pierre Roustan & filed under Food Philosophy, organic, organic produce, organic produce delivery. What’s this world coming to? The age of the Internet, or as many tech enthusiasts call, the Internet of Things. Not only can your phone be hooked up to cyberspace, but your microwave can, your TV can, your doorknob can, even you freakin’ pen can! Why not organic food? Sound too far-fetched. Be prepared to be wowed, because it turns out that soon you just might be a connected shopper someday soon. Here’s the thing — and we can attest to it, because we’re Golden Gate Organics (generally customers buy our stuff online) — organic food purchases directly from the web in 2014 actually doubled — to 14%. That means in 2013, food purchases online only sat at a paltry 7%. Nothing to sniff at in a negative way, as at least some people are purchasing organics! But we repeat: that metric doubled in a year. Let’s drive the point home a little more. 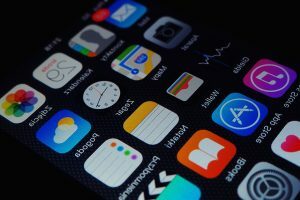 A little study done in 2015 actually found that 51% of consumers use their phones to shop for merchandise. Why not groceries? This explains why many startups and tech companies out there are tapping into the untouched market of groceries given it happens to be the largest category out there. We’re seeing features right now, actually. Of Course, Why Should We Care About the Connected Shopper Trend Anyway?? Think about it. When in a store, you don’t get those options as easy. When all it takes is a simple swipe of your smartphone, the information you need, plus the purchase, and the delivery not only saves you the time, but earns you better products and choices in the long run. Well, we are. Other establishments should as well! The future of grocery shopping — nay, organic grocery shopping! 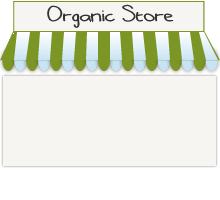 — is looking pretty bright for organic food. Posted April 19, 2017 by Pierre Roustan & filed under organic, organic produce, organic produce delivery. Will the big guys see the writing on the wall? Come on, Burger King. We love the Whopper, but we’ve got to transcend the grease and Calories and go for something seamlessly satisfying without sacrificing our midriffs. 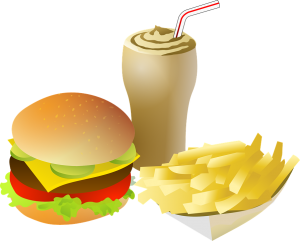 It would take quite a while as the big chains out there still control the majority of fast-food-eating society, but over time when you see that health declines, and the healthier propel, ultimately the whole survival of the fittest mentality comes into play. People want to live longer. To live longer, you have to eat better. And you can’t eat better if you’re eating grease all the time. We saw it with the Subway Diet, and there are other casual eating dives promoting some form of healthy eating, but sooner or later, organic products will make their way into kitchens and promote the next big thing in culinary genius. Think about it: the only thing better than whole grain…is organic whole grain. And the benefits are clear. Something has to give, right? Here are seven reasons why the market will give in. 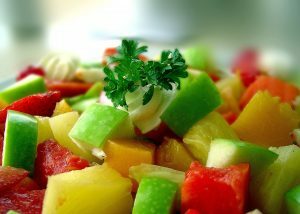 Successful fast food chains with emphasis on green quality and organic excellence are the reasons, starting with…. Chipotle Mexican Grill — Surprising, right? To see this chain on the list? After all the food safety scandals they’re dealing with, you really just have to read this and learn why organic food is number one with them. 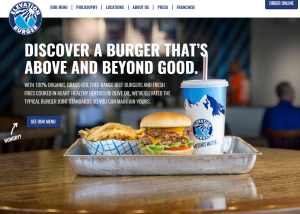 Elevation Burger — Before you start thinking that this is just a local mom-and-pop burger joint, check this report out about what the latest trend is all over the East Coast and Midwest. 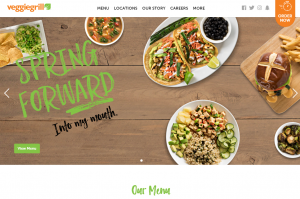 Veggie Grill — This should be a no-brainer given the name of the restaurant, but you won’t believe what else they do at their establishments. Let’s just say you can have “Happy Hour” there. Dig Inn — Not just a play on words, or a pun, but this restaurant takes the idea of healthy eating and turns it into a buffet scarfing session unlike anything you’ve ever seen. See for yourself. 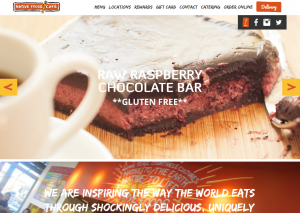 Native Foods — Another no-brainer, what with the name of the restaurant. Still, not only does this restaurant’s cuisine taste damn good, but it looks good — and, yes, you’re looking at a fast-food genre here as well. LYFE Kitchen — If there’s any food service out there — organic food service, to be exact — capable of bringing about the newest trend in the fast food industry, it’s this restaurant. You’ll be blown away. Sweetgreen Restaurant — Here’s a little disclaimer for you: this restaurant isn’t simply a “salad bar.” Actually, it’s nothing like a salad bar, as in there’s no bar. It’s just a big feast-fest, and here’s why. Here’s the craziest part of this list: this is only a fraction of the number of fast-food chains breaking into the industry with a focus on organic food! And it will only be a process, okay? An arguably long process. Think about it. All the Mickey D’s, Burger King’s, and Taco Bell’s in the world have to either weather this storm, or join in on the maelstrom that is organic food! You be the judge — what’s going to happen? You think everyone from Wendy’s to Checkers can accomodate? We. Shall. See! Posted April 16, 2017 by Pierre Roustan & filed under Food Philosophy, organic. Mince no words (only garlic and onion) when talking about Chipotle Mexican Grill. Yes, this chain’s arguably the largest chain of its ethnic cuisine, but also the one going through the most tumult given e.coli stuff and food safety concerns plaguing the establishment. It’s not stopping the Mexican juggernaut from touting the biggest USP its still pushing to this day, which may be one of the reasons why stock shares in the venue still are decent despite the negative reviews. A major commercial chain — supporting sustainability — dare we say, organic quality? Who knew? In fact, their website states that all the meat from animals is ensured to be raised with no antibiotics or added hormones, hence organic meat. Additionally, organic and local produce is a big winner for them “when practicaly, so Chipotle has proven that a fast-food chain doesn’t even have to be die-hard organic to support it. The company’s even placed solar panels on their buildings, using low-VOC paint and energy-efficient lighting. With all paper products made from unbleached material, you’re guaranteed a fully green restaurant with organic tendencies. Granted…. It’s not a solely dedicated organic fast-food restaurant. But Chipotle Mexican Grill certainly can be named as the first fast-food restaurant to support and launch an initiative toward better health. We’re wondering if it had anything to do with the food safety scandals and claims. A blessing in disguise? It may seem like only a matter of time before organic food and groceries hit the mainstream (for some, it already has). Couldn’t come any sooner. To this day, the United States may still be the most obese nation in the country. With these kinds of initiatives, though, that may soon change. Posted April 15, 2017 by Pierre Roustan & filed under Food Philosophy, organic. Want to Know Where You’ll Find Elevation Burger? Those are a lot of places to find just one real good veggie burger. Of course, Elevation Burger does so much more than just vegan cuisine. The burgers this restaurant serves happens to be 100% USDA certified organic. Grass-fed, and free range. Just in case you’re mum on what that means, it simply means the cows get to be in their natural habitat, making for the most natural — organic — beef on the market, no antibiotics, no preservatives, no hormones. Listen, if you’re going to eat meat, eat the best, right? Even their veggie burgers are made with organic whole grains! Not processed, not packaged, not preserved. Completely natural. You can even work your way toward trying a veggie burger, just in case you’re a bit shy on penetrating that foodie market, by ordering what they call the half-the-guilt burger, a sandwich made with one organic beef patty and one veggie patty. So it’s like a double-quarter pounder — only much healthier. It may only be a matter of time before all fast-food restaurants go organic, people. Seriously. It’s in your best interest to check it out for yourself and see what you’re dealing with. You’ll know soon enough that you’re dealing with a whole lot of packed and punchy flavor — but with the health benefits only your imagination can conjure up. GGO approves heartily. Posted April 14, 2017 by Pierre Roustan & filed under Food Philosophy, organic. We’re not joking. This is a restaurant totally free of meat, even dairy. No eggs, no saturated animal fat. They don’t even have cholesterol, antibiotics, trans fat, gluten and soy. You can’t get much more natural than that, and yet they pack a mean punch with their food, earning them the right to call themselves a grill. What they do is pack their veggies into strip, breast or steak shapes made from the best organic or non-GMO soybeans, wheat and peas. The combination allows for a great grilling feast, capable of holding up to the fire and enjoying the sizzle of spices, dry rubs, or marinades. You’ll be fooled; trust us. They don’t hold out on the supergrains either, featuring everything from millet, to buckwheat, quinoa (of course), and brown rice as excellent sides to these tasty dishes over the charcoal. We’re willing to bet you’ll want something to wash all of that down, which of course they do have that on the menu: homemade lemonade, organic teas — and get this, even beer and wine! Locally produced, of course, which believe it or not their products are all free of high-fructose corn syrup. You’ll find the chain heralding the organic fast-food market everywhere, from California, to Oregon, to Washington. So it’ll be only a matter of time before the Heartland sees it, the Midwest sees it, and then the East Coast sees it. Then you can imagine grill masters everywhere foregoing the wicked strip steak and opting for some hearty veggies to fire up on the grill. Can’t beat that. Posted April 11, 2017 by Pierre Roustan & filed under Food Philosophy, organic. Their mantra in this chain is local sourcing of ingredients. The hallmark of truly organic and even vegan sentimentality in cuisine. We honestly don’t have anything against beef, especially when it’s managed in the best possible, most organic way. Their “Natural Hero” couldn’t be anymore natural, made from in-house spicy beef and chicken meatballs with grass-fed cheddar. Better cheddar than regular cheddar when you source your ingredients from organic farms designed to allow chickens free roam and cows real grass. That’s healthy. Maybe you want more of the greens? Fair enough. Dig Inn even has what they call the Cluk’N’Kale, a dish made of free-roam, naturally-raised roasted teriyaki chicken with organic sweet potatoes, kale, and an apple salad with ginger dressing. Is it me, or does the writing of these dishes taste just as good as when you put the stuff in your mouth? And it always seems to be, the healthier the dishes are. After all, when did you ever get the feel-goods from reading “quarter-pound of beef with mayo, mustard, ketchup and bacon”? Never. You get to dig in with these goods, for sure. Just make sure you’re in the Big Apple if you’re interested, because at this moment, Dig Inn is an NYC affair, and who knows: they might just branch out one day to the rest of the states in the nation, heralding the turn of the organic fast-food era. Posted April 8, 2017 by Pierre Roustan & filed under Food Philosophy, organic. Who knew that a vegan organic chef or foodie could go that much farther with healthy cuisine other than just packing in the veggies and making everything organic? Native Foods restaurant takes organic fast food to the NEXT LEVEL — the reason why the restaurant is called “Native Foods” is that the chefs there at this chain practically design their dishes completely from scratch. They make their own cheese, tempeh, nachos, chilis, soups, and salads. They don’t just utilize the ingredients; they actually make the stuff the ‘hard way’. By hand. No processing. No canned goods. All naturale. Quite the undertaking after checking out their menu and realizing that it’s literally 100% plant-based. Not a single piece of meat. They, however, know how to rock the flavors with all sorts of seasonal dishes and kickers like the Rockin’ Moroccan Bowl, filled to the brim with tofu, grilled veggies, and quinoa. at least. This is a restaurant proving that while you can eat organic and even vegan, you don’t have to lose out on the wholesomeness of grilled food, stoked with smoke and oozing with spiked flavor. 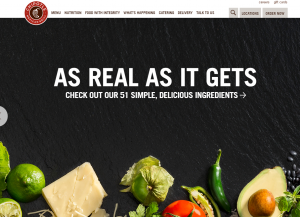 You just need to get creative, and one look at Native Foods’ menu, and there’s a plethora of creative for you to pull from and make your own creations. Just in Case You’re Thinking About Seeing What Native Foods Has to Offer…. Just make sure you’re in these specific areas — California, Colorado, Oregon, Chicago, Washington D.C. You’ll find locations in all of these cities or states. The restaurant chain is definitely a CHAIN and just another reason to believe that the fast-food era will continue to merge with healthy, organic and vegan eating. Serve it up!